We all know when it’s time for a change. Moving, starting a family, switching careers, buying a house, or just generally taking on more responsibilities in life. 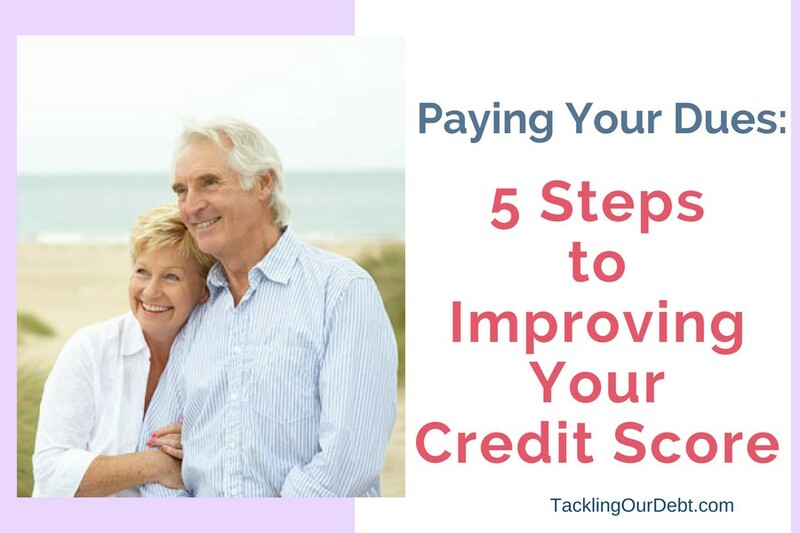 Making big changes demands a little financial fortitude, and one way to get leverage is to net yourself a better credit score. Here are five steps that could help you carry this transition off spectacularly. You want a good credit score, but that reminds us – what is your score, anyway? If you’ve checked multiple reports, you might find that it differs a little from report to report. You can just average these numbers out to have a good idea of where you’re starting from. But more than that, determine what your risk is. The risk score indicates whether or not you’re likely to pay back loans on time, or if you typically charge more than you pay on a card. If your ultimate goal is to get a mortgage or take out a loan, this is what the bank will really be looking at. Note that you might have to go through one of the big three providers to find out what your risk is, as not every company tells you. Sometimes bad credit isn’t about bad behavior, it’s just about lack of experience. If you don’t have much of a credit history, you can raise your score over time by getting a credit card. You’ll want a good interest rate, and most importantly, you want to make payments on time, ideally paying it off in full every month. If you have high-interest credit card debt, transferring the balance to a lower interest card shouldn’t hurt your score. The secret is, you have to then cut up that old high-interest card. Making payments on time is a key way to improve your risk rating and make you more attractive to lenders. Even missing a month and overcompensating the next doesn’t hold a candle to making smaller payments like clockwork. Once you pay something off, don’t try and get it purged from your credit report. Paying off an old debt always works in your favor; trying to project the idea that it never happened doesn’t. You’re making real progress, and you want to enjoy the fruits of your labor. However, that score isn’t going to skyrocket overnight. Whether it’s fair or not, elevating your credit is all about proving yourself, and it takes time to see it all pay off. So don’t get discouraged when you don’t get fast results. The absolute best thing to do is keep paying on time, and stay on that budget. It’s common to tire out and lose momentum, but this lands you back to where you started. What happens after you improve your credit score? It becomes easier to get loan approval and good interest rates. But it can also be a new lease on life. If you take what you’ve learned and maintain good credit, you can turn your financial standing around completely.